Even the president’s daughter is stressed over college admissions. Like high school seniors nationwide, Malia Obama is in the throngs of the college application process. How might her journey to college inspire you? Check out this New York Times article. It profiles the eldest Obama daughter as she scours the United States for the college that best suits her. Among her short list are a handful of Ivy League schools, Stanford, and Wesleyan. 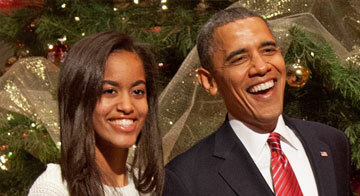 Smartly, and perhaps heeding her father’s advice, the young Obama decided to cast a wide net. She has visited the Ivies, but also large universities and smaller liberal arts colleges. Like many students, she is trying not to stress over getting into one particular college. Malia Obama is actually more of a regular kid than you might have imagined. That is, excepting her distinguished resume and colorful, “cosmopolitan” home life. Has your college search been similar to Malia Obama’s? We would love to hear about your experiences in the comments below.